Want to learn how to write Japanese characters? It’s easy to get overwhelmed…after all, there are thousands of kanji out there. Just to read the newspaper, you’re supposed to know 2,000. So what’s the best way to learn all these kanji? Some people compare kanji to pictures, while others create stories from the kanji. Some learners use flashcards and some even look into the history of the characters. But which approach is best? To answer that question, let’s take a closer look at five of the most popular approaches, so you can try them out and pick the right one for you. One method for learning kanji is to study the history of each character—that is, to study the etymology. 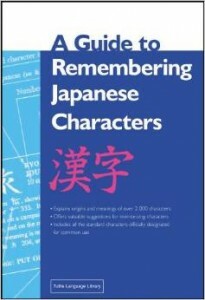 This unique book focuses on the jōyō kanji, or the General Use Characters (as of 1995, so it does not include the 2010 update). Henshall’s book provides the in-depth history of each character, from the earliest ideograms to the current versions. At the bottom of each entry is a mnemonic device designed to help students remember the character’s meaning. Each one is based on what Henshall thinks will help the student remember the meaning, including past meanings and other characters that use the same elements. This strategy is appropriate for people who like to go deep. Independent learners, upper intermediate, advanced and even near-native students can make use of this approach. By itself, the book doesn’t offer any hands-on practice, so it’s useful as a supplement to existing studies. If you want to really know the inner workings of the Japanese language, then you may want to try this approach. But it’s not as fast as some of the others claim to be. Another unique approach is the one created by James Heisig. 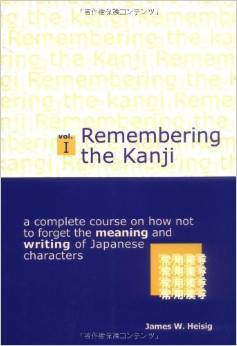 His series of books, “Remembering the Kanji,” takes a story-based mnemonic approach. Each “primitive element” of a kanji, such as strokes, radicals and other basic elements, are associated with a specific meaning. 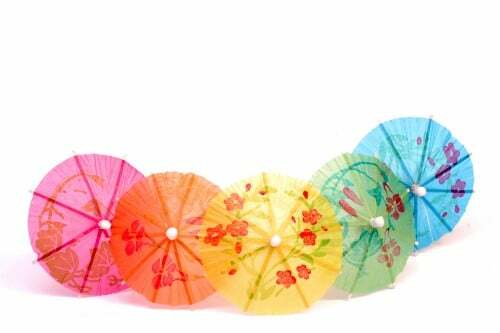 Heisig then puts these meanings together to create stories or other “imaginative” associations. To remember the kanji for “old,” for example (古), Heisig suggests thinking of a tombstone with a cross on top. 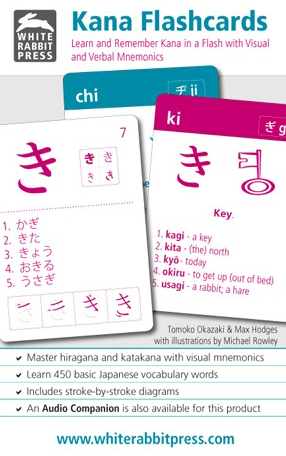 Though Heisig sometimes associates the kanji with pictures—which is another common strategy—he tackles what he calls the “imaginative memory.” By creating an “alphabet” of kanjis’ primitive elements, he hopes students’ imaginations will fuel the rest. Heisig provides stories part of the way through, then only includes the meanings of the primitive elements so the reader can create their own stories. This will help students remember the characters more easily, Heisig says. In fact, the focus in this book is exclusively on meaning. There are no phonetics, there’s nothing about stroke order and there are no vocabulary words or exercises. There are suggestions for creating flashcards, though. If you search around online, you’ll find that some students hate this approach, but others swear by it. His book has been updated to include the newest 196 kanji added to the list of General Use Characters. If you want an approach that focuses only on remembering kanji meanings, without worrying about other details such as phonetics or vocabulary, then this may be suitable for you. Another common approach is learning kanji through pictures. 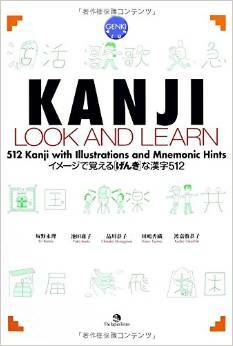 The “Kanji Look and Learn,” “Kanji in MangaLand” and “Kanji Pict-O-Graphix” books are examples of this approach. Since many modern kanji started out as pictographs, this approach to learning makes sense. But over time, most characters changed so much that they no longer resemble their original. So many of the textbooks that use this approach create new pictures for kanji. The “Pict-O-Graphix” front cover, for example, shows the kanji for “stop” (止) and turns it into a picture of a policeman holding his hand out to stop traffic. Many of these types of books are geared towards beginners or younger audiences. They often include exercises, vocabulary words and a breakdown of the stroke order. If you are just starting out, if you like manga and pictures or if you want a fun approach, then give the picture-based strategy a try. The Japanese way of learning involves writing, re-writing, re-writing some more…and re-writing some more. When Japanese students learn their kanji, they’ll fill up pages upon pages of notebooks upon notebooks with character after character, after character, after character. Not many Westerners are fans of this approach. And most of the books above don’t have great things to say about the Japanese approach. But does it work? When I studied Japanese in high school, my teacher—an American—liked this strategy. I learned all my kana and my first few hundred kanji through rote memorization. Now, at a certain point everyone’s got to learn by doing. And writing characters over and over is one way to do that. The best way to learn stroke order, for instance, is through practice. Many of the kanji books out there incorporate this strategy to an extent. They’ll have a set of empty squares set aside as a practice space. But not too many. To try this method out, grab a notebook (I like those gridded Moleskines) and start filling it up. If you don’t need lots of entertainment or extra learning aids, and if you have a long attention span and can focus well, then this method may work well for you. Flashcards are another common approach to learning and memorization. The traditional approach to flashcards would be to write the kanji on one side and the meaning on the other. Some commercially produced flashcards include more information. The cards produced by White Rabbit Press, for example, have lots of information. One side has kanji, several vocabulary words, the stroke order and similar-looking kanji. The other side has translations for the vocabulary words, plus the meaning and readings for the kanji. Purchasing printed flashcards is often pricier than using flashcard apps, however. Many apps are free, but they aren’t always as robust or bug-free as commercially produced flashcard apps. One of the most accepted ways to use flashcards is the Leitner system. The Leitner system involves sorting the cards into piles based on how well you know the material. Many flashcard apps and kanji apps incorporate the Leitner system automatically, which is called spaced repetition software (SRS). 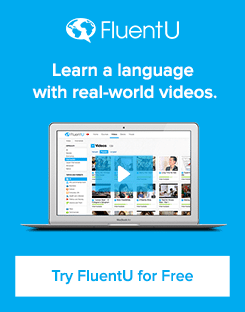 So much more than flashcards, FluentU is one such example of an app using SRS. FluentU takes real-world videos—like music videos, movie trailers, news and inspiring talks—and turns them into personalized language learning lessons. In its “learn mode,” you can study new words from videos and organize them into flashcard sets. The interactive flashcards have an image, in-context definition, example sentences and even other video clips where that particular word is used. The context and authenticity really help engrain words to your memory. In general, flashcards are a great supplement to most other learning strategies. If you want a fast and easy way to refresh your memory and stay on top of your kanji, you should experiment with flashcards or a flashcard app. There is not one right way for everyone. No matter who you talk to, they’ll offer up their own unique advice, so talk to lots of people to get a variety of good tips. Your “right way” will depend on your learning style. We won’t get into the different learning styles here, though, since that’s such a big topic. So just ask yourself: How do you learn best? like to know theory and the big picture? like imaginative or creative approaches? These types of questions will help you find out which method is best for your learning style. I, for instance, like to know the big picture. That’s why I prefer the etymological approach. The more deeply I can learn about the history and meaning of the language, the easier it is for me to remember the kanji and their meanings. But I’ve used all the above methods at one point or another. So my suggestion is: Try all of them, then stick with the ones that work. Once you find a great fit for your preferred learning style, the kanji will be that much easier to learn! Good luck!